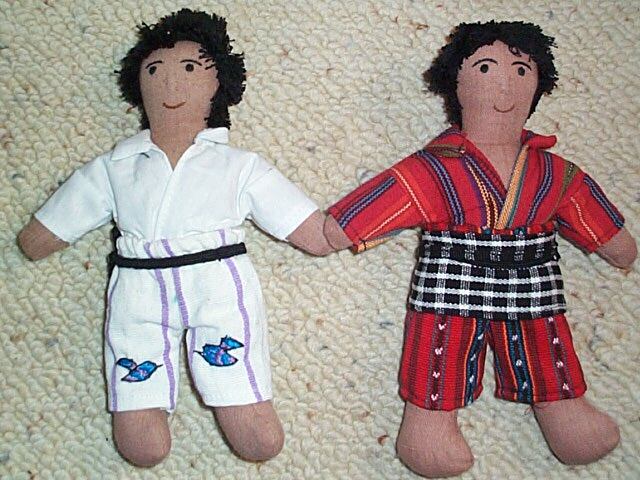 Now in two sizes 15.5" and 8"
Also Terra Experience Clothes for 15.5 Doll! 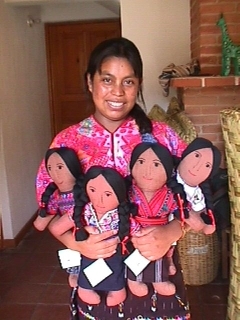 15.5" Dolls by Maya Traditions! Our Outfits for 15.5" Dolls. 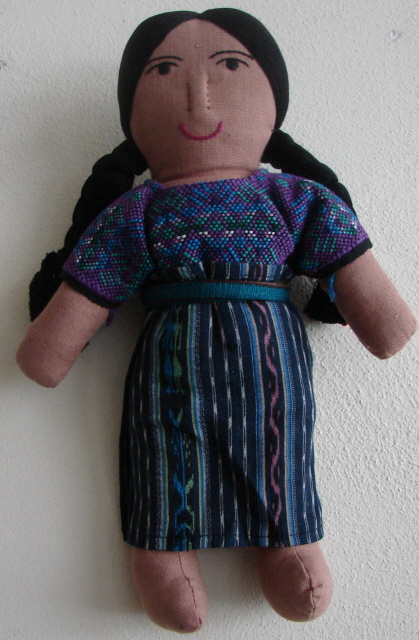 Terra Experience now sells 16" doll outfits (traje) from these and additional Guatemalan villages that fit the Maya Traditions' Doll or other similar 15 or 16" doll. These also work for slender 16" commercial dolls such as Magic Attic Dolls (not recommended for wide-headed dolls, try an 18" outfit instead). Note: Each 3-piece outfit includes 1) Huipil or blouse, 2) Skirt and 3) Belt. 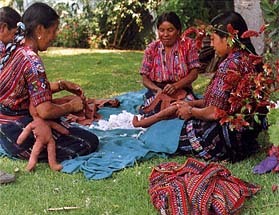 Note: Each 3-piece outfit includes 1) Huipil or blouse, 2) Skirt (usually wrap-around) and 3) Cloth Belt. Other items can be purchased separately at Doll Accessories. Scroll up to purchase the doll.